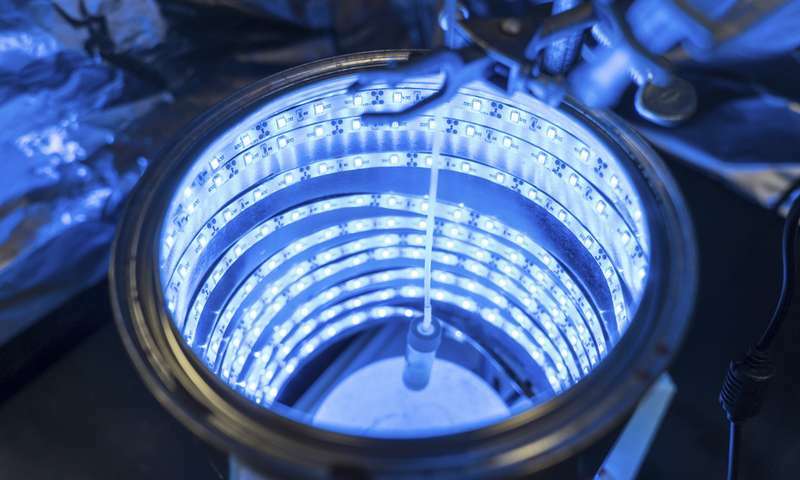 A chemistry professor has found a way to trigger the process of photosynthesis in a synthetic material, turning greenhouse gases into clean air and producing energy all at the same time. The process has great potential for creating a technology that could significantly reduce greenhouse gases linked to climate change, while also creating a clean way to produce energy. The findings of his research are published in the Journal of Materials Chemistry A .
Uribe-Romo and his team of students created a way to trigger a chemical reaction in a synthetic material called metal–organic frameworks (MOF) that breaks down carbon dioxide into harmless organic materials. Think of it as an artificial photosynthesis process similar to the way plants convert carbon dioxide (CO2) and sunlight into food. But instead of producing food, Uribe-Romo’s method produces solar fuel. The video below highlights this groundbreaking invention.